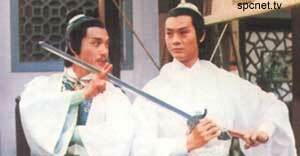 TVB's golden period of martial arts started off in the late 70s. The cast was limited and costumes simple, they delivered their best in acting to make up for the deficit. Gu Long's better novels were adapted to shoot most dramas. They are very faithful to them. The pace was slow but mysterious. Thus, little time is needed to digest the plots. The songs were also well-written and memorable as the lyrics blended well with the music. Most songs were sung by Cheng Siu Chau, Jenny Tsang, Roman Tam and Wong Ming Kuen. Unfortunately, not many could be found today and TVB did not even release some of them. This drama had only 5 episodes as it wasn’t as well received due to its slow moving plot. I thought it was doing the cast a disservice. 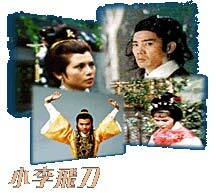 It had a cast of Lau Dan, Ha Yu and Lee Lam Lam (Chiang Dai Wai’s wife) and Kwan Chong. The main theme was by Jenny Tsang of the same title. This drama attracted me to start to read Gu Long novels. The small shiny flying dagger is an attention seeker – just as its sickly but highly skilled owner Lee Cam Foon (Chu Kong). He is too noble to give up his beloved, Lam See Yan ( Lee Lam Lam) to Long Siu Wan (Kong Sau). The young pugilist, Ah Fei (Wong Yuen Sang) is inexperienced and rash. He is deceived repeatedly by Lam Sin Yee (Wong Hung Sau) and was often left heartbroken. All will wonder why our heroes suffer so much. Sorry but I could not make up my mind which was better so this was a tie between the two. It is a rare drama to have Cheng Siu Chau as an extra – to make a loud appearance to get killed in a duel. Getting Fung Bo Bo (as Nam Gong Yee) and Wong Hau Sau (Yu Chui Chui) – 2 actresses to act as a pair of lovebirds is also a daring attempt. Ling Gai Jo (Wong Wan Choy) did not manage to get Bai Ling Sheung (Wong Oi Ming) and has his skills destroyed as Bak Lok Tin (Kwan Hoi San) keeps the inner strength practicing manual from him. Faceless (Chan Hong Lit) is also a formidable villain. Siu Sap Yat Long is a sad story of Sum Pek Kwan (Lee Lam Lam) of being arranged to marry the wrong man Lien Sing Pek (Kwan Chung) although she loves Siu Sap Yat Long (Tse Yin). Fung Sei Niong (Wong Suk Yee) is rash but is Siu Sap Yat Long’s good buddy. A pity that both women are killed by Lien so Siu has to seek revenge for them. Great fighting scenes with the villain overshadowing the good guy. This drama started a big fan base on the sabre which could be turned from one into double. No other weapon looks like this. Ding Pang (Lau Chung Yan) has to be ruthless in becoming its master. Marrying Ching Ching (Chiu Ngar Chi) isn’t enough. The highlight is how he seeks revenge on Lau Yuk Chong (Kam Kok Wai) and the tragedy that he causes when his family dies due to his hunger for glory. TVB utilizes the entire acting crew. Cheng Siu Chau plays Chan Ka Lok, Qian Long, and Fok On Hong which plays a big test on his acting ability. He definitely shines! Fok Ching Tong (Liza Wong Ming Kuen) is convincing as a strong-willed deputy leader of her tribe while her younger sister, Princess Heung Heung (Yu On On) comes across sweet and innocent. It has the most theme songs. This is the second drama that has Cheng and Wong to act as lovers. Cheung Mo Gei (Cheng Siu Chau) has Chiu Mun (Wong Ming Kuen), Chow Chi Yuk (Chiu Ngar Chi), Yan Lei (Chung Mun Ching) and Siu Chiu (Chan Yuk Lin) to deal with. I find the cast suppressing too much of their emotions. Many grumbled over the ending of Chiu Mun getting killed. It simply makes no sense. Shek Kin is brilliant as the twin brothers, Yu Du He and Yu Fang He. 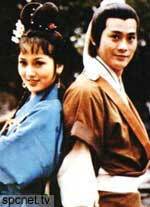 So is Hon Ma Lei as Ji Ling Feng and Ji Ling Yan. Zhu Lei Er (Wong Mun Yee) is often beside Yu Pei Yu (Ha Yu) to seek out his father’s killer and to find out why there are so many imposters around. That incurs the wrath of many as they hunt for his life. It is delightful how he uncovers their true identities one by one. 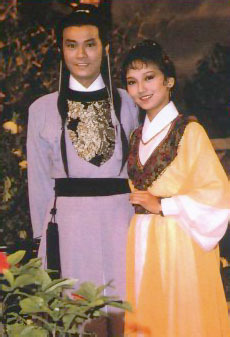 Chor Lau Heung (Cheng Siu Chau) is always in the company of women but he loses his beloved, Sum Wai San (Wong Ming Kuen) and So Yung Yung (Chiu Ngar Chi). He has to brace himself to find the truth for every unsolved case. He battles his wits against many villains and is saddened to find that his best friend, Mou Far (Kwan Chong) is also his greatest enemy. An entertaining drama with lots of twists and turns in the plot. Far Mou Kuet (Shek Sau) and Kong Siu Yu (Wong Yuen Sang) are twin brothers separated at birth. The two actors aced their acting to great heights with this drama. I find it enjoyable to see them making exchanges in wits and also marital arts skills. With Tiet Sam Lan (Wong Hung Sau) and So Ying (Mai Shuet), this is a perfect combination. This is undoubtedly the best drama of the 70s history – with all the actors suitable to be swordsmen in it to give the best satisfaction in fighting scenes in slow motion done in great angles. Supported with actresses who also possess periodic maiden beauty, the suspense is created with and doesn't disappoint the anticipation in any way. It also has many unforgettable theme songs.